Background: The secretory, intra-organellar and transmembrane proteins translocate into the endoplasmic reticulum (ER) after their synthesis. Inside the ER, they are post-translationally modified and properly folded. Disruptions of ER homeostasis leads to the accumulation of unfolded proteins (1). The ER has developed an adaptive mechanism called unfolded protein response (UPR) to counteract compromised protein folding (1). One of the players in UPR, IRE1, was first identified in Saccharomyces cerevisiae as a transmembrane serine/threonine kinase (2-4). This kinase was proposed to be a proximal sensor for UPR that transmits the unfolded protein signal across the ER membrane (3,4). A human homolog of this kinase, IRE1α, was later identified and shown to be ubiquitously expressed in human tissues (5). Upon activation of UPR, IRE1α splices X-box binding protein (XBP1) mRNA by an unconventional mechanism using its endoribonuclease activity (6). 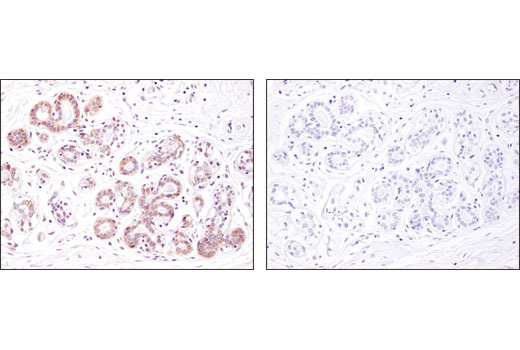 This converts XBP1 into a potent transcriptional activator that induces many UPR responsive genes (6). 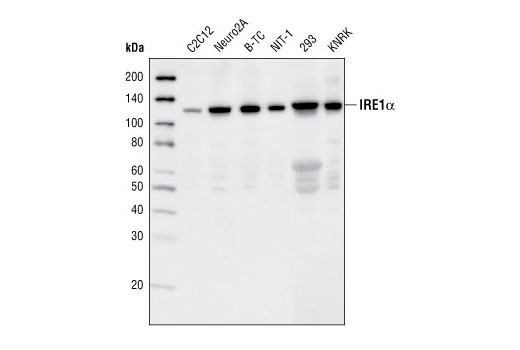 Recently, IRE1α was shown to mediate the rapid degradation of certain mRNAs based on the ER-localization and primary sequences of their encoded proteins, suggesting a novel mechanism in UPR (7). 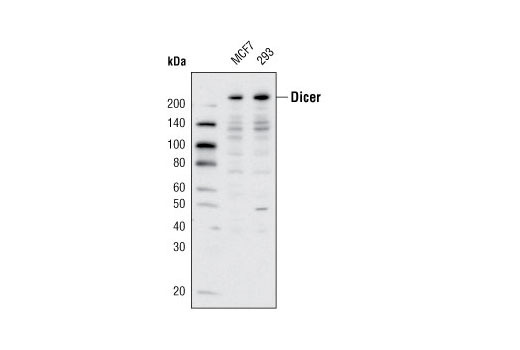 Background: Dicer is a member of the RNase III family that specifically cleaves double-stranded RNAs to generate microRNAs (miRNAs) (1). 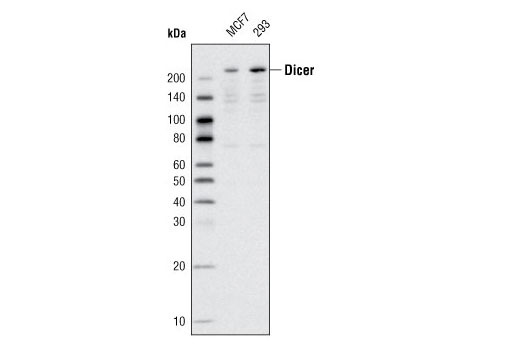 After long primary transcript pri-miRNAs are processed to stem-looped pre-miRNAs by Drosha (2), pre-miRNAs are transported to the cytoplasm and further processed by Dicer to produce 22-nucleotide mature miRNAs (3). The mature miRNA then becomes a part of the RNA-Induced Silencing Complex (RISC) and can bind to the 3' UTR of the target mRNA (3). Background: Small non-coding RNAs are important regulators of gene expression in higher eukaryotes (1,2). Several classes of small RNAs, including short interfering RNAs (siRNAs) (3), microRNAs (miRNAs) (4), and Piwi-interacting RNAs (piRNAs) (5), have been identified. MicroRNAs are about 21 nucleotides in length and have been implicated in many cellular processes such as development, differentiation, and stress response (1,2). MicroRNAs regulate gene expression by modulating mRNA translation or stability (2). MicroRNAs function together with the protein components in the complexes called micro-ribonucleoproteins (miRNPs) (2). 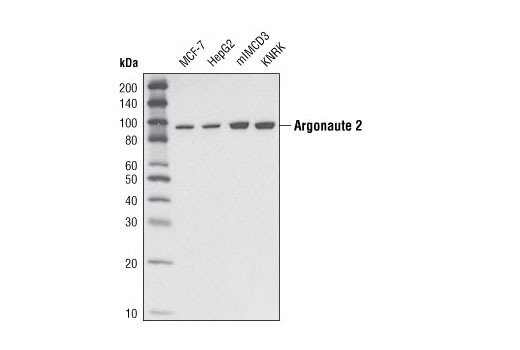 Among the most important components in these complexes are Argonaute proteins (1,2). There are four members in the mammalian Argonaute family and only Argonaute 2 (Ago2) possesses the Slicer endonuclease activity (1,2). 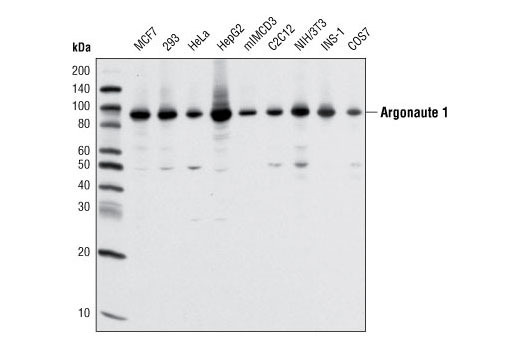 Argonaute proteins participate in the various steps of microRNA-mediated gene silencing, such as repression of translation and mRNA turnover (1). 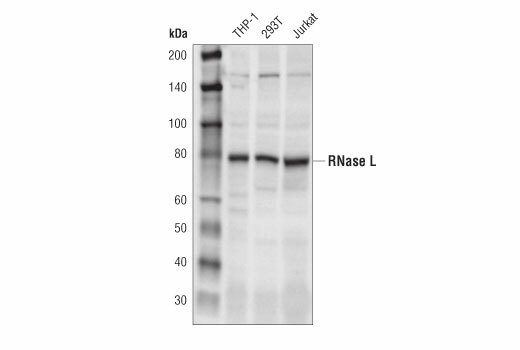 Background: RNase L is an antiviral protein that is expressed in most mammalian cells (1). Latent RNase L in the cytoplasm is activated by the second messenger 2’,5’-linked oligoadenylate (2-5A), which is produced by oligoadenylate synthase (OAS) after it binds viral double-stranded RNA (dsRNA) (2, 3). 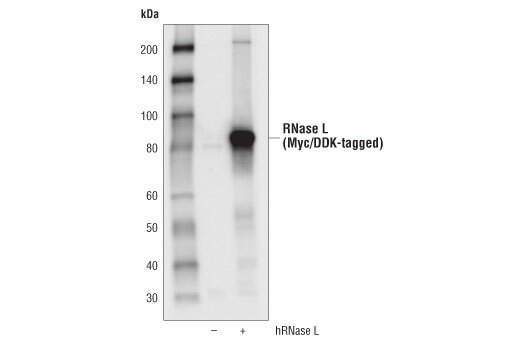 RNase L forms a crossed homodimer that is stabilized by kinase homology and ankyrin domains, which position two kinase extension nuclease domains for RNA recognition (4). RNase L then degrades both viral and cellular RNA (5). In mouse models, RNase L has been shown to produce small self-RNAs that act to amplify innate antiviral immunity through IFN-β induction (6). Research has also shown that RNase L forms a complex with Filamin A that acts as a barrier to restrict virus entry, and that RNase L can induce autophagy in response to viral infection (7, 8). Finally, research suggests RNase L may contribute to type I diabetes onset through immune response regulation (9).